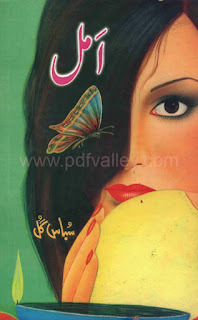 You can download Amal ( Urdu امل) by Sabas Gull free in pdf format. Subas Gul has been working in the field of novel writing from a long time and has been able to give the readers an insight to her social thoughts. There are a few writers only who have been able to devote their life towards the social subjects of this society and presenting these thoughts in such a beautiful and magnificent art which only a few people possess and among them the name of Subas Gul is also a known one. She has been offering countless novels to readers on a regular interval which has been evolving a visible impact on their lives with a positive style.